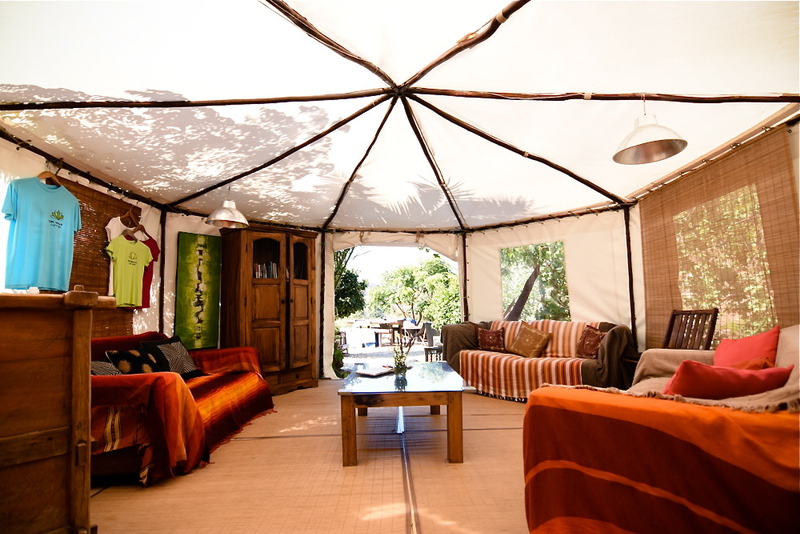 Moroccan Lounge — Tipi Valley is an ecological surf and yoga retreat in the western Algarve, Portugal. Separate to the tipi yet just a stone’s throw away, is the Moroccan Lounge, aka the "Taj Mahal". 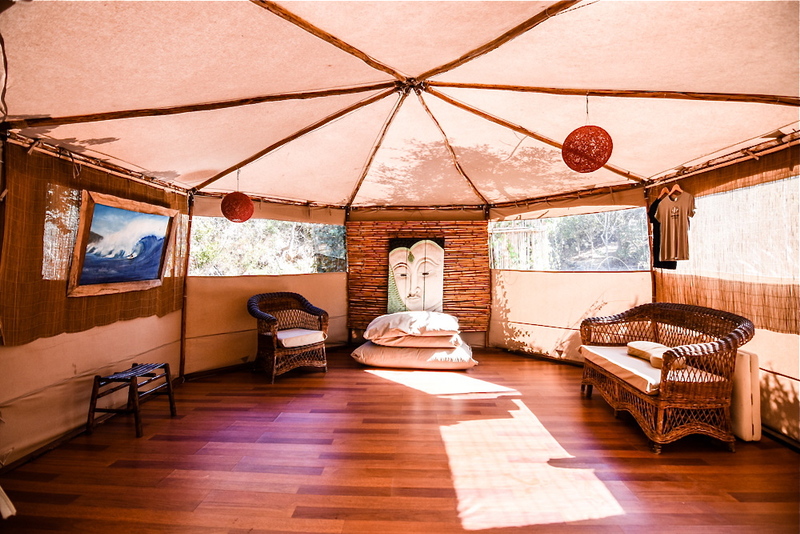 This is the place to chill, relax or socialise at the end of a great day of surfing and yoga by lounging on the couches, reading, listening to music or playing an instrument. The vibe here is often social, the Moroccan Lounge is simply a relaxed area to discuss a great day of surfing or be at one with yourself or others. Tea and fruit or snacks are served here three times a day. 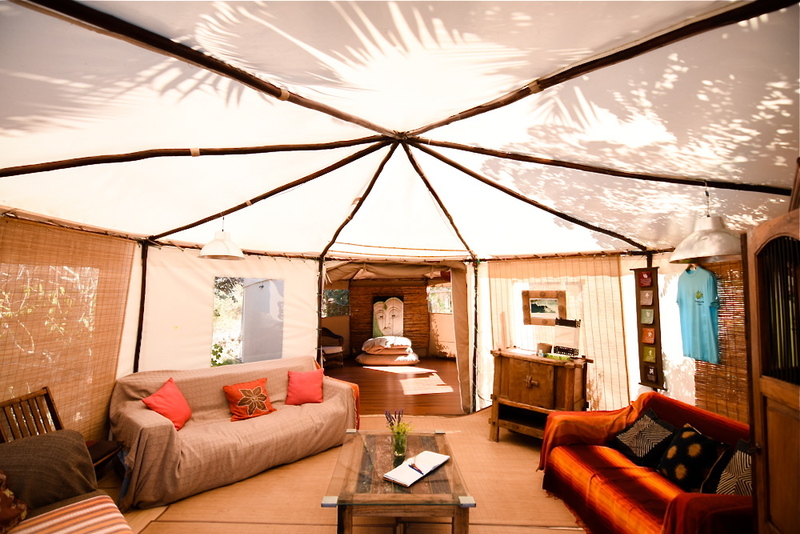 An inviting place for a chat in the evenings, along with your newly made friends.